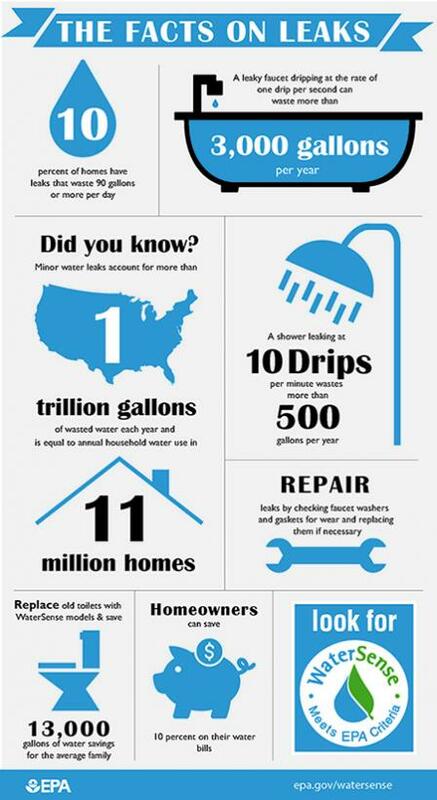 According to the U.S. Environmental Protection Agency (EPA), an estimated 10 percent of all homes have leaks that waste 90 gallons or more per day. Check your water meter before and after a two hour period when no water is being used. If the meter changes at all, you probably have a leak. Learn how to read your meter here.